Clients can choose to tip if they pay for their appointment online while completing the booking process! 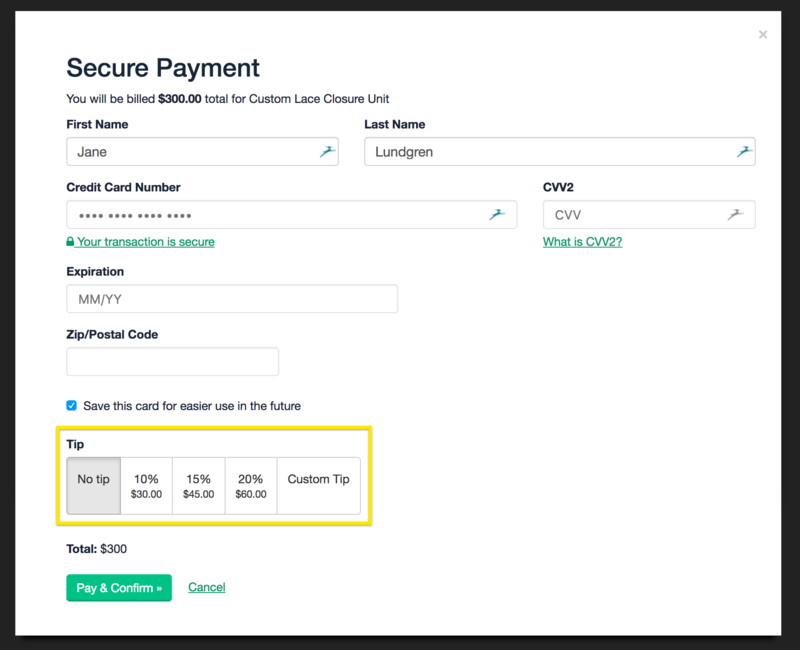 To enable tipping, you must connect your Acuity account to a payment processor that allows for tipping in Acuity. Next, go to your Payment Processor settings and check the box Let clients give an extra tip if they're paying the full amount online > click Save Settings.